Are You Diabetic? 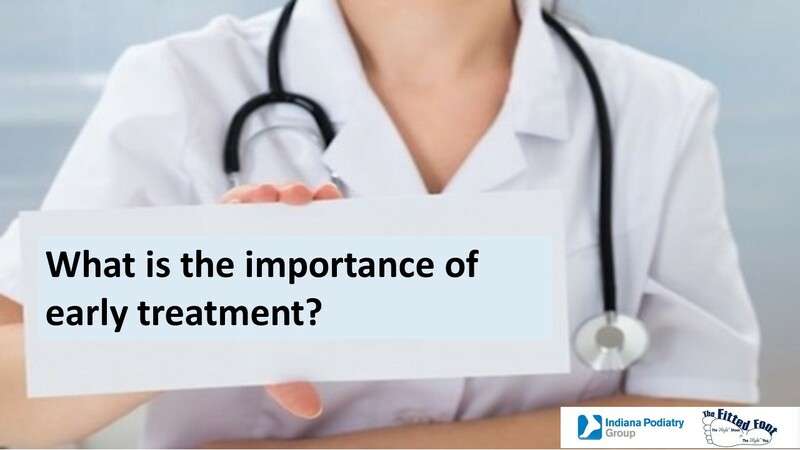 What is the importance of early treatment? It’s always easier to heal a small ulcer than a large one. Seeking treatment early will help decrease your infection potential and chance of amputation. An approach that involves a comprehensive team of experts and specialized care is important to preventing and treating diabetic foot ulcers. We work closely with the experts at wound care centers to design personalized treatment plans for people with diabetic foot ulcers. Advanced technologies offered at local wound care centers include hyperbaric oxygen therapy for faster healing and Luna fluorescence angiography that helps pinpoint exactly why your wound isn’t healing. I've had warts for months. I've tried treating them myself with the over-the-counter meds and the ones on my left foot disappeared, at least they look like they did. The ones I had on my right foot, I had three. I treated them and they backed off. Then they came out with one big one with black squiggles in it, which made me ill to look at. Dr. Siebe has taken the liquid nitrogen (frozen) to it twice and I don't think it's gone It hurts, and it hurts bad sometimes. I think I need the big guns for this wart. I also have autoimmune diseases and syndromes, I also have diabetes.